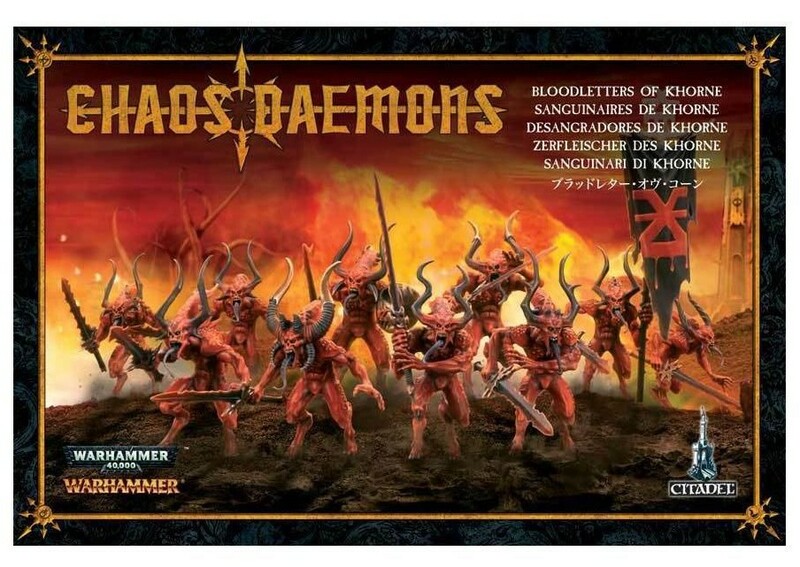 These guys are arguably my favorite daemons among all of Chaos’ many entities. Must be the Diablo-esque or better yet, biblical image they convey for what people think when they hear of a daemon. The studio paint job is great for them and I’ll follow a very similar path to these, probably add some flair to their swords with either the NMM or OSL techniques. But before anything of such sort can happen, I have to assemble them first! My goodness. Mould lines running over fingers? Sometimes I think GW messes with us. Seriously, this kit has been the most difficult so far with mould lines. It runs all over the symbol of Khorne on the hilt. Not to mention the ribbed line on the hilt itself, it was a terrible idea to use the Mouldline Remover here. Word of advice, use something more surgical like an Xacto knife. 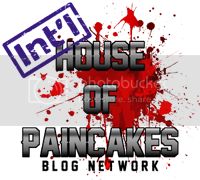 I had seen these on other blogs, there is a join line that forms with most of the Bloodletters. Either use the glue strategically or take your time with Greenstuff to eliminate them. A mould line on the tongue? Yeah it happens. Just watch where you are pointing your knife. Use the scalpel for small details. For legs and heads feel free to carefully apply the Citadel tool. Sometimes the mould lines are very easy to see and are gently removed. Not this one. There. Took a good 10 minutes. Feels l am giving a manicure. Some Bloodletters use their swords in a two-handed fashion. Looks fantastic. Just make sure to set sub-assemblies for ease of painting. This will be a nice test model for the rest of the batch. Made sure to set up different types, including a standard bearer. Still have to decide which banner to use. Might try some freehand with the blank one. Since the last time I made assemblies I’ve primed the readied Bloodletters except for the banner bearer. Have about 5-6 more to assemble and prime now. Shouldn’t be too difficult to put together until the weekend. So that’s why the box was so heavy! Well, I was expecting a resin model when I first ordered it through my local supplier but instead got the metal version that is OOP. While it should pose no problems in building I was certainly very surprised to see this. Got a little anxious too, the last time I handled a metal model was when I has absolutely no idea about what mould-lines, bonding agents and pinning were about. Naturally, the first metal Ork Warboss with Attack Squig was a disaster for me… kept wondering why the arm fell off no matter how much superglue I applied! Those days are long gone and thanks to the internet there’s knowledge readily available on how to prepare metal models. The kit comes in 5 parts: the body, 2 wings and 2 hind legs. Oh, and a lot of flash! Skipping a few steps here. While I was removing the mould lines I thought the toes have been covered by one of the nastiest vents in metal mini history. So naturally I set out to remove them and clean up the pieces. Turns out that this is a custom base for the model. 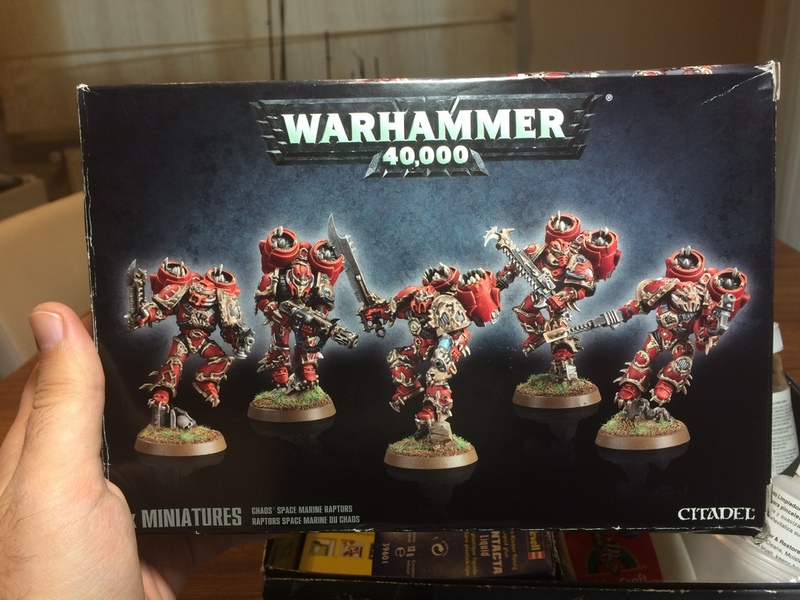 GW, you got me again! Good thing about metal is that it’s sturdy and can withstand a beating. … looking down I realized our bird was out of the cage! Meet our curious little Red Weaver Finch, Cek. I put down the tools for a while to assess the damage I wreaked upon the kit. Nothing I can’t salvage it seems. Still, I need to wash them to get rid of solvents and give the metal its shine for priming. These worked nicely, but I think I need better suited tools for working with finer minis. Still have so much to learn! Yeah, I’m not working with cheap blades on metal minis anymore. I still wonder where that piece got lodged in… hopefully not somewhere I step on. This will be a learning process for me for sure, as I’m not acquainted with metal minis. Prefer plastic and resin over these, but I hear that good casts in metal are unmatched in detail and model quality. Let’s see how this one turns out. So heavy! I wanted to save the favorite for the last (it’s also the last one I worked on). This optional kit comes in two sprues that are literally filled with bits to provide the base for either Raptors or Warp Talons. I’m a huge fan of close combat and the thought of huge clawed super soldiers materializing out of the Warp to slice enemies in two was just too appealing to pick Raptors! Warp Talons all the way! 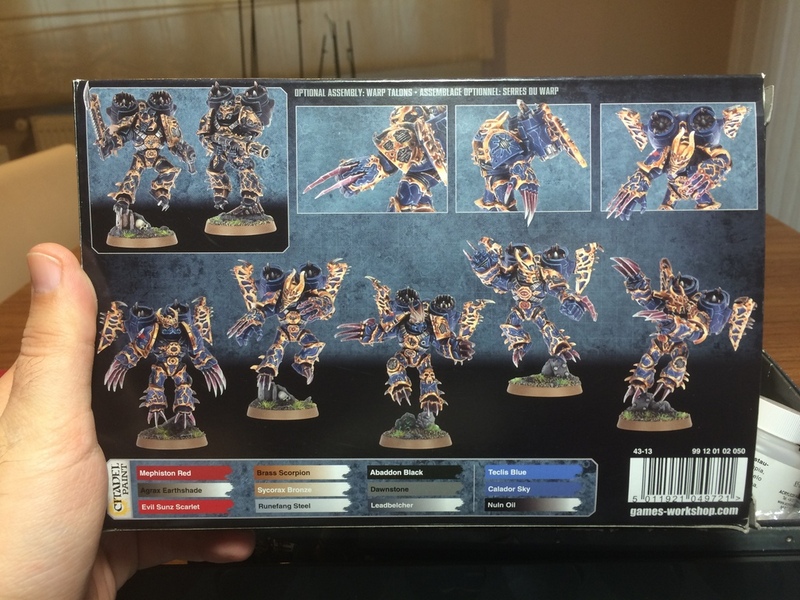 The fluff goes well with the Night Lords CSM chapter, however I will incorporate these guys into my Black Legion force. Who knows, I might game with them in the future and I want to keep my options. First I did a little damage assessment of the sprues as there’s a TON of spiky bits for these guys. Talons, foot spikes, horns, claws, you name it. 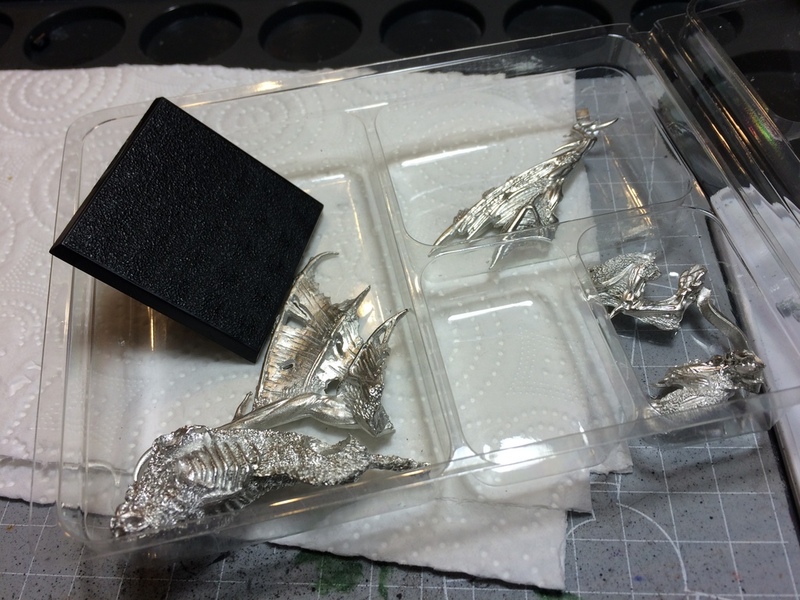 Sadly I had a few damaged pieces in the sprues so I’ll have to work on them for corrections. Little damage on the jetpack. Nothing I can’t handle but still makes you cringe. Such is the fate of delicate parts. The chaos star was warped and begging for mercy. So I removed it and put it aside for repairs. Each Warp Talon is made up of around 15 pieces. The bases and the legs come attached but those who want modifications can separate one from another easily with a nice blade. The pieces, especially for jetpack “wings” and mêlée arms seem to be set on sprues in pairs. So it may be a good idea to remove them from the sprue as each model’s turn comes rather than removing all pieces and mixing and matching like in other troop boxes. The booklet is brief and to the point. A regular Warp Talon can be assembled with a variety of pieces. GW has determined a set formula for the Warp Talon Champion. I decided to use the base with the trophy head for the kit and leave everything else the same as in the booklet. Chest pieces are easy to assemble since all back pieces are identical. The arms are a little trickier, I suggest following the patterns if you insist in removing all parts from the sprues for clues. The toughest to determine for me are the “wings” as their details are subtler. I’m using the standard bases for this. I plan to set them on cork pieces and then cover the transition with tools like Stirland Mud texture paint or fine sand. The champion will have the trophy. I’m thinking Ultramarines for the enemy chapter. Fitting for both poster boys, don’t you think? There we go. I do not have the pictures yet but priming has been completed for some Bloodletters, the Trygon and the Vortexbeast. I’m going to correct the primer on the Nurglings with the next spray batch, so those will be waiting until the weekend. See you on the next post, which I hope to have a different flair than usual. Stay tuned! Wow! Those warp talons have an unbelievable amount of bitz on them. Lots of room for characterization on them. On the metal model…make sure to wash it. Don’t go through greg’s sad phase of painting 3/4 of a model then having bits of paint start flecking off, cause there was oil on the metal somewhere and the primer didn’t adhere completely. (handle with gloves until primed!). That’s my only tip after watching my inquisitor come to pieces. Could have just been my primer that day…but I’m super paranoid now! Oh you bet! Let’s say I’ve learned my lesson after the Warboss. Even skin contact is detrimental to primer! It’s good that I have a steady supply of surgical gloves for handling such delicate pieces. Hopefully by the end of this week I’ll initiate the last step in the long list of outstanding WIPs, so priming and painting can begin in earnest. Great to see you are still going strong with modelling. You have an impressive number of projects going and your progress is notable. All the clean-up work on the models is no laughing matter! I assembled a box of Bloodletters once and boy are you correct. They are loaded with mold lines everywhere! I am glad you are going through all the trouble to remove them from all the fingers and small details. It goes a long way in making them look even more striking. Metal models can be pretty difficult to deal with. While they can be hard to trim and assemble I rather like metal models. They are rarely plagued with horrendous miscasts and are often very well detailed. As such I have come to like metal models better than resin ones, ha ha. 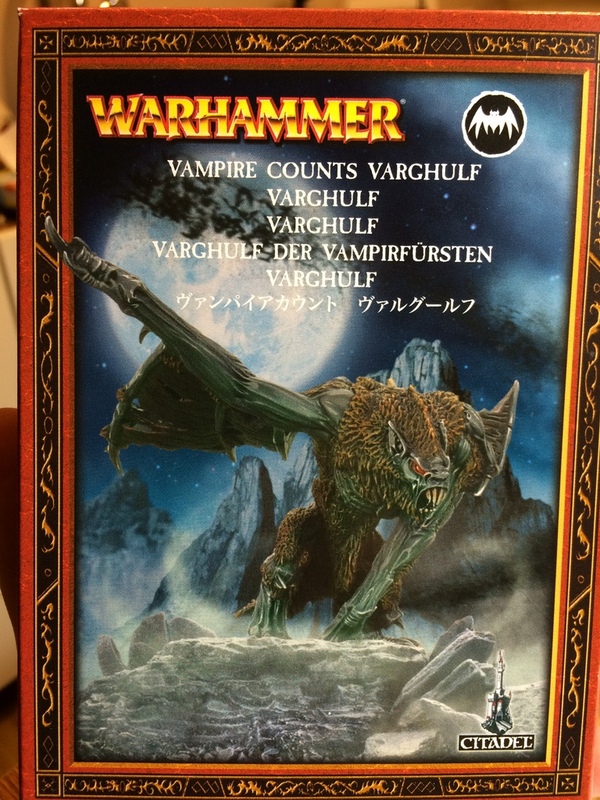 Good luck continuing to work on the Varghulf! The metal GW uses on their models is much hard than that used by other companies (Corus Belli, Antimatter Games, etc) so it is even more challenging. Indeed it has become a daunting task to finish off the stuff I started but I’m thinking of adding even more to this batch before I hit the point where I can’t spray outdoors. I’m pretty much the nemesis of mould lines and thus couldn’t resist removing them. Besides I try to push to the limit in painting quality and you just can’t make do with an unclean model like that! For metal models I think I’m going to learn as I go, so hopefully the Varghulf will not turn out to be a mess! I hear that Pegaso models also have quality metal casts if larger figures is your kind of thing. Thanks for dropping by Adam!